Polyamide (Nylon 12) is significantly more expensive than Polyamide 6 (PA6) and even Polyamide 66 (PA 66), so is not so in demand as PA 6 and PA 66. Polyamide 12 is recommended where components are operating in a wet environment, exposed to high loads (eg shipbuilding). In the absence of moisture or high loads (mechanical, electrical, thermal) is possible to choose from a wide range of other more economical engineering plastics. 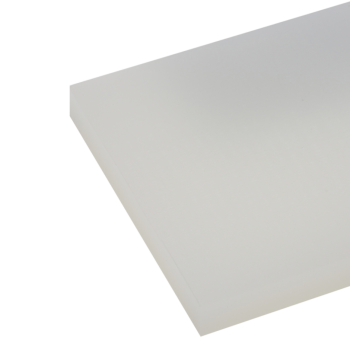 Polyamide 12 sheets have good wear resistance and good sliding properties. It has a very low density among all engineering plastics (1.02 g / cm3). Very durable polymer that can withstand high static and dynamic loads. The distinguishing feature of Polyamide 12 plates - low water absorption, which is typically very high for all other polyamide..
Nylon 12 / Polyamide 12 Extruded Natural Rod is an engineering plastic with product characteristics including low moisture absorption, high stress crack resistance and high impact strength. 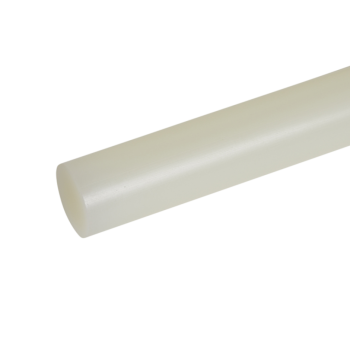 The long term service temperature range of Nylon 12 Rod is from -50°C to 80°C and has a short term maximum service temperature of 140°C. Polyamide 12 rods ..